Hometown: Lindenwold, New Jersey, U.S.
Died: August 1, 2004 in Operation Iraqi Freedom. Iraq KIA-- Army Spec. 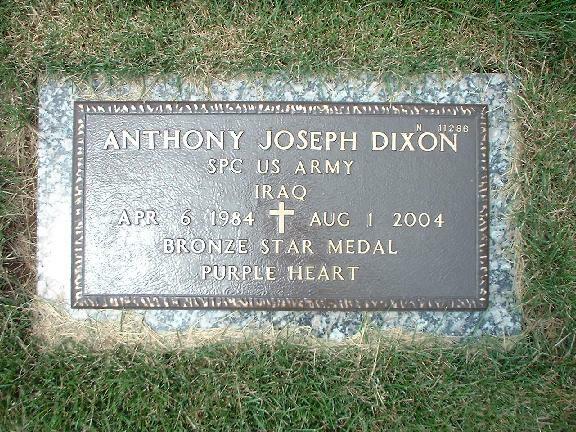 Anthony"Joe" Dixon gave his life in Operation Iraqi Freedom. A resident of Lindenwold, Camden County,NJ. Anthony join the army after high school with friend, Spec.Adam Froehlich, who died in Iraq in March,2004.Adam and Anthony were graduates of Overbrook H.S. Pine Hill,NJ class of 2002. 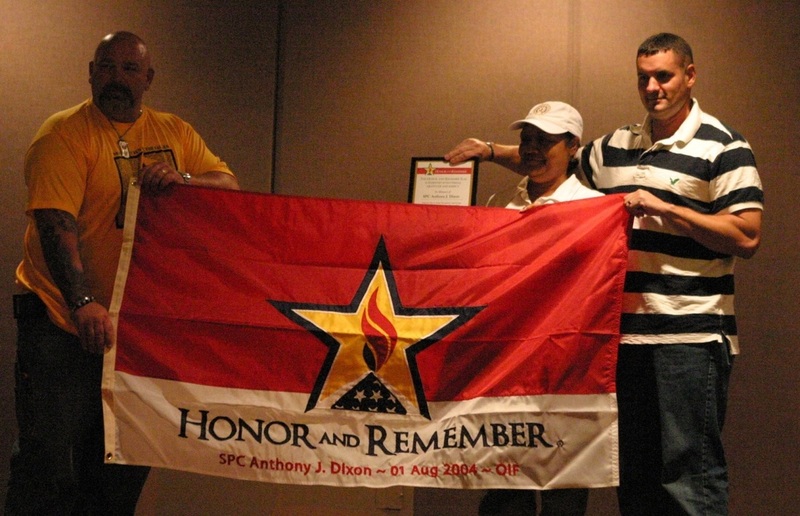 Anthony was laid to rest with full military honors,August 9,2004. When Anthony J. Dixon was a teenager, his niece doubted he could climb a cell tower behind his parents' home. Pretty soon, he was yelling down to her from the top of the tower, several hundred feet high, "I made it!" He joined the Army in part to temper his wild spirit, but it only went so far. While based in Schweinfurt, Germany, Dixon's favorite pastime was driving rented BMWs on the autobahn. 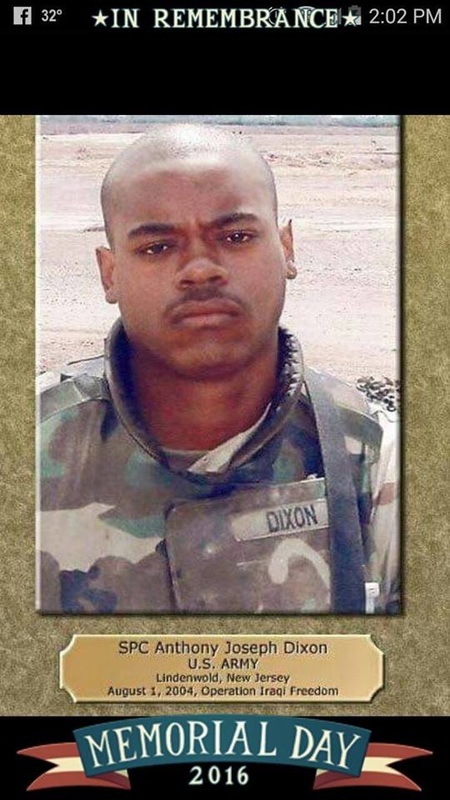 Dixon, 20, of Lindenwold, N.J., died Aug. 1 when a bomb exploded near his guard post in Samarra, Iraq. He and one of his best friends, Adam Froehlich, enlisted in the Army together after graduating high school in 2002. Froehlich was killed in March. In Germany, Dixon met the woman he wanted to marry and the two hoped to tie the knot in October. The youngest of five children, he hoped to work as a Secret Service agent or a police officer like his older brother. Dixon is survived by his parents, Alexander and Jacquelyn.